If you are relocating to a new residence, you might be asked for a landlord reference. 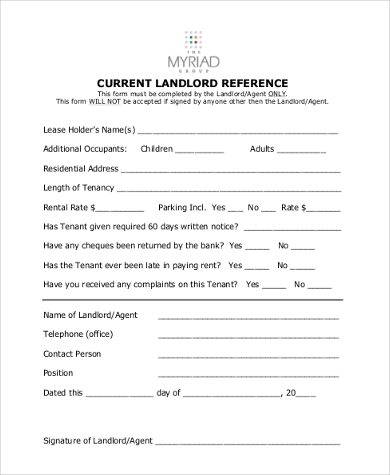 This is simply a reference letter signed by your previous landlord stating that you have lived on the premises for an indicated amount of time, and that you were basically a good, responsible tenant who pays rent. As you can expect, such a reference is helpful to secure you a new tenancy. 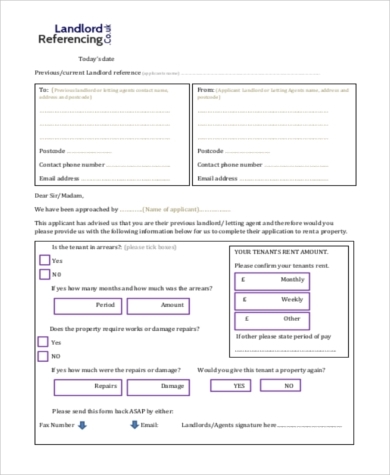 If your landlord would rather have you come up with a letter that they would only have to sign, we have provided you with a list of free samples of downloadable Landlord Forms to help you get started. Make sure the reference letter is dated at the top. Include the contact information of your previous landlord. Some landlords might want to call up your previous landlord to ask further questions about your tenancy. Providing a number for them to do this shows you have nothing to hide. 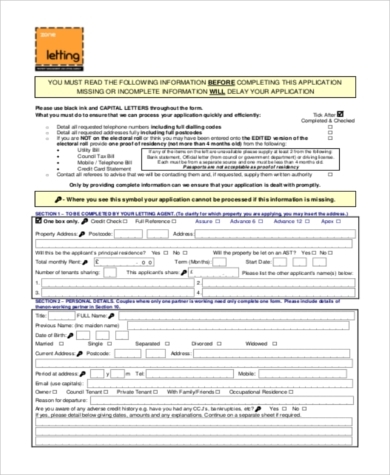 Whether you are just starting out with a residential property you want to rent out, or are looking to improve and streamline your rental business, you can find all the resources for letters, forms, and notices on SampleForms.com. 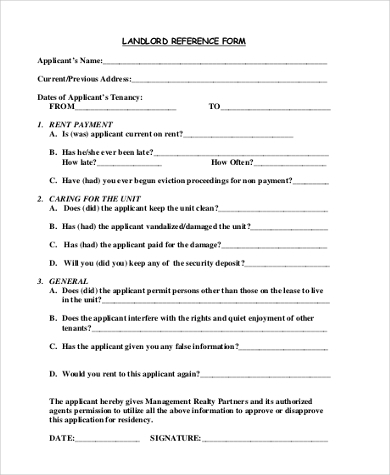 Rental Applications. These are like job application forms but tailored for those candidates looking for residency. Will greatly help streamline the process of selecting your tenants. 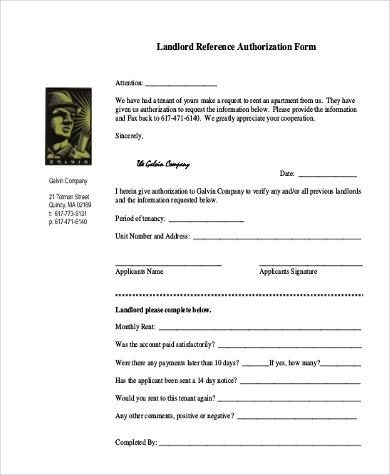 Room Rental Agreement Templates. These are contracts for when you are renting out a room instead of a larger residential unit as a whole apartment or building. House Lease Contracts. For when you are leasing (renting) out a residential building instead of an apartment unit. 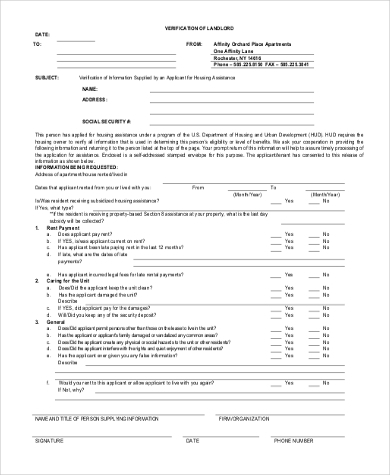 Short-Term Rental Agreement Templates. For when you are expecting visitors renting for a season. Eviction Notice Templates. At some point or another, you will always need these. 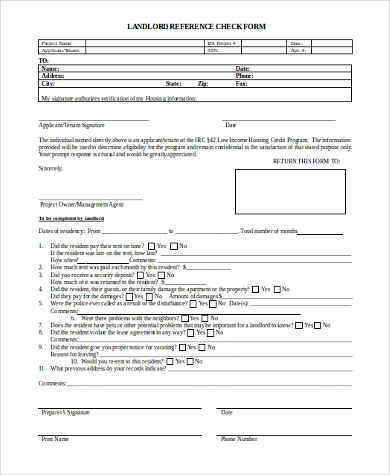 You might also be interested in checking out some free download samples of Rental Agreement Forms. 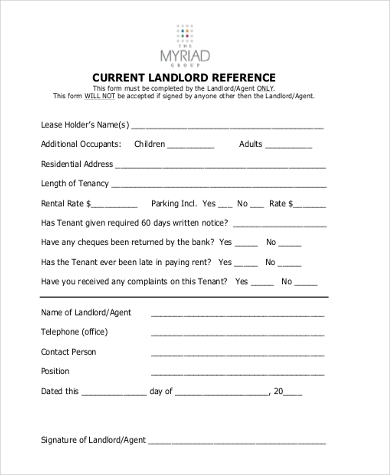 These are contracts signed between you and your landlord that allow you to live on the rented premises as long as you agree to the terms (tenancy rules, rent payment, etc. ).